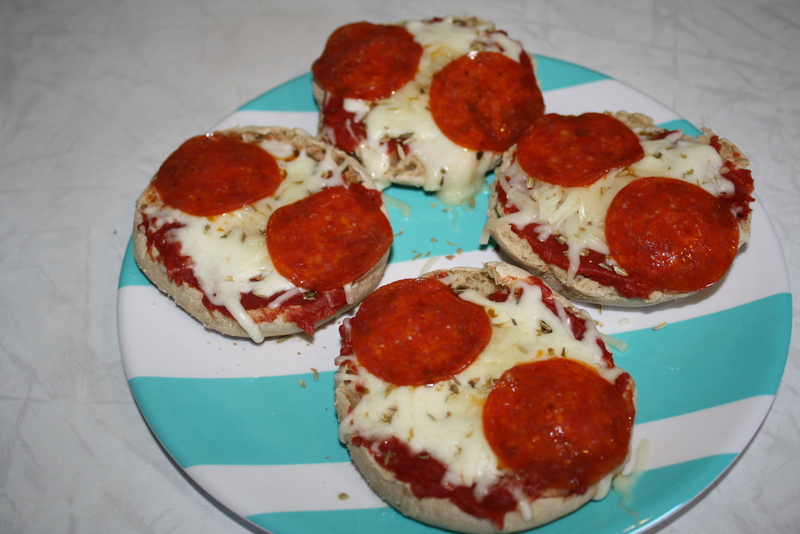 Mmmmm, mini pizzas made in the microwave that take 5 minutes? Count me in. My mom used to make these for me all the time. They are the easiest lunch ever. Plus, they aren’t TOO awfully bad for you since they’re made on an English muffin. These were obviously Zack’s (note the pepperonis). Mine would have mushrooms, green peppers, jalapenos, maybe a little onion…) Yum, I’m making myself want some right now. Arrange muffins on a microwave safe plate and top with sauce. 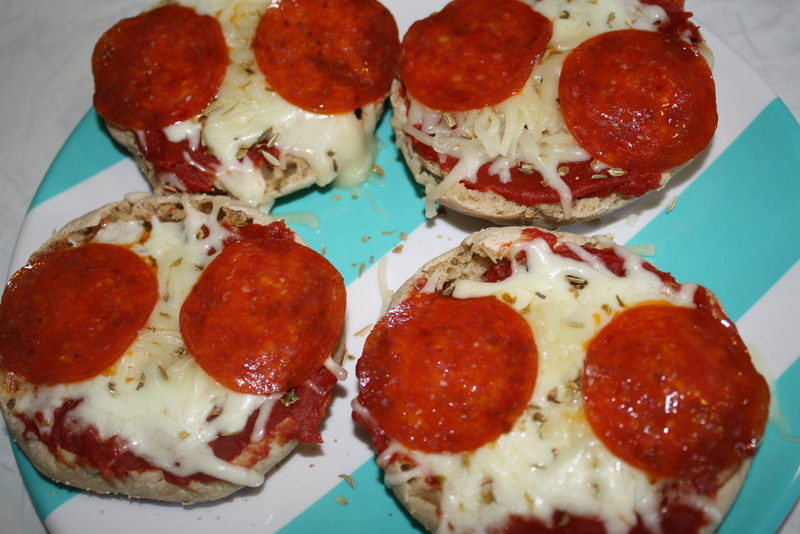 Top with cheese and toppings. Season with oregano. Heat 1-2 minutes on Power Level 7 until cheese is melted, turning once. That’s a great idea too! 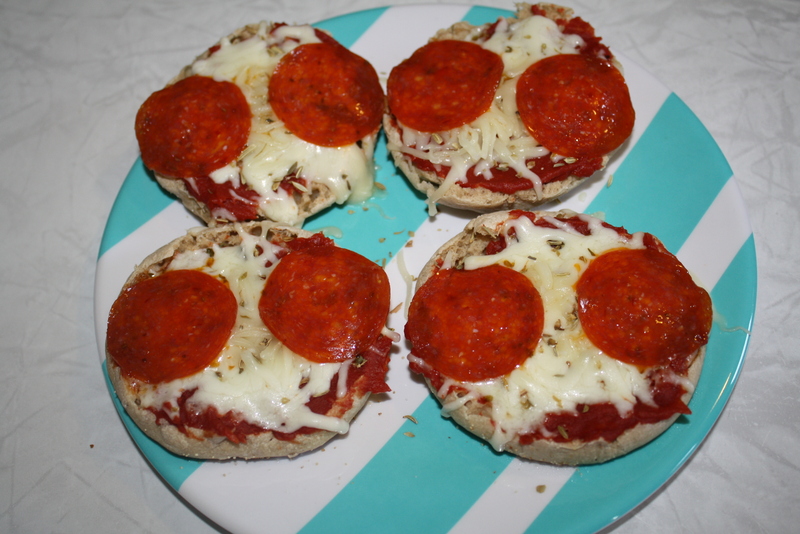 Bagel bites are delicious and I’ve never even thought about making homemade ones on bagels. Silly me. Love love love this idea! What is better than a mini pizza? There’s nothing better than pizza in general! My boyfriend and I are complete addicts. Awesome! Let me know what you think! Thank you.